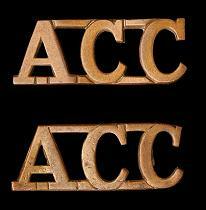 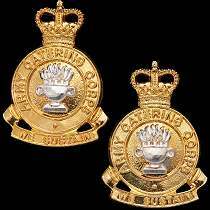 Formed 22nd March 1941, remaining under the control of the Royal Army Service Corps until granted independent corps status in 1965. 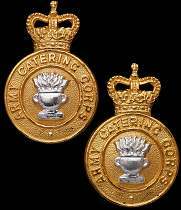 Amalgamated with The Royal Pioneer Corps, The Royal Corps of Transport, The Royal Army Ordnance Corps and The Postal and Courier Service of the Royal Engineers to form the Royal Logistic Corps, 5th April 1993. 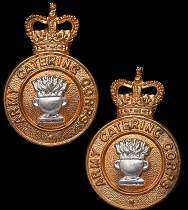 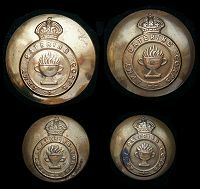 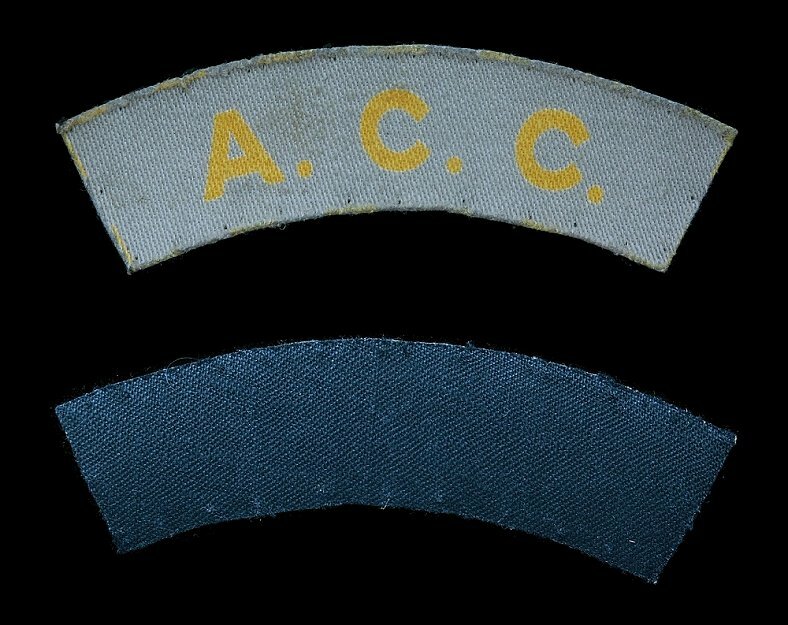 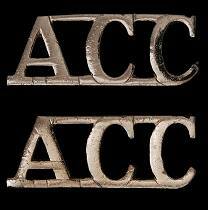 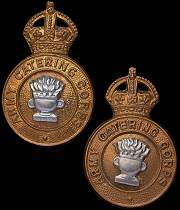 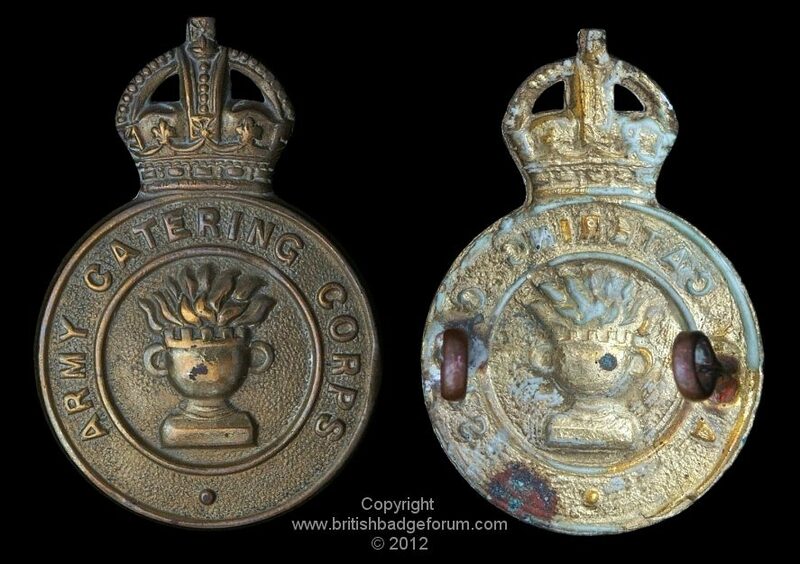 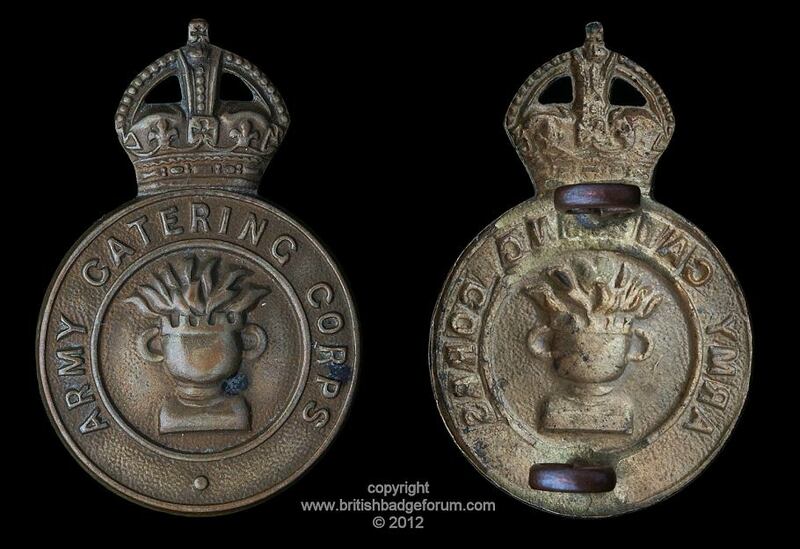 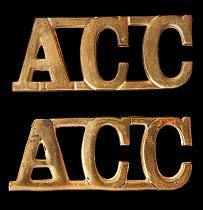 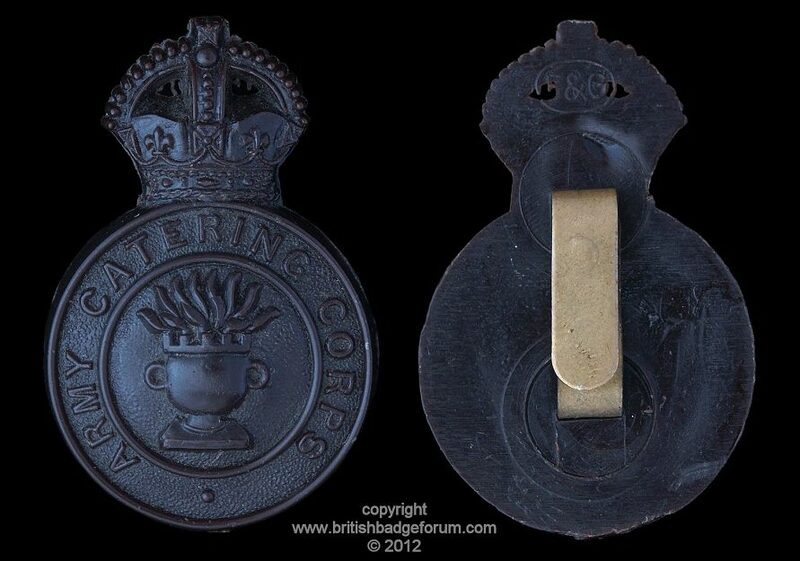 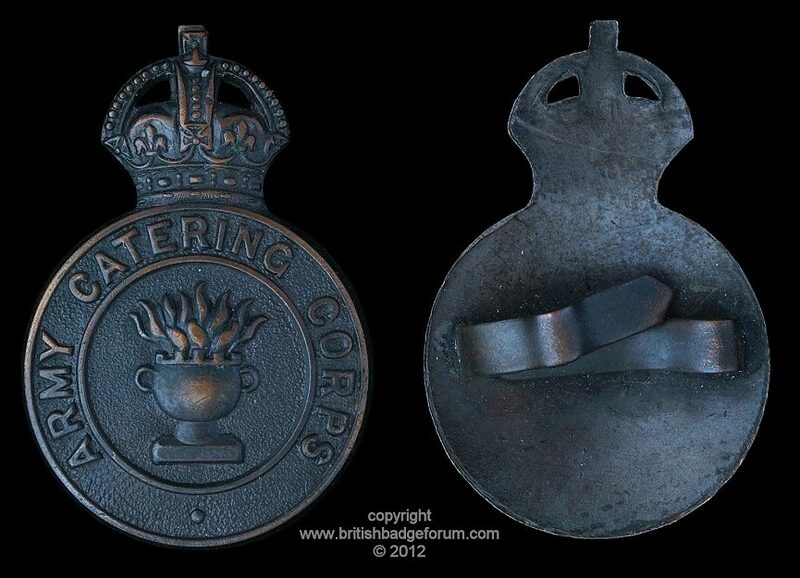 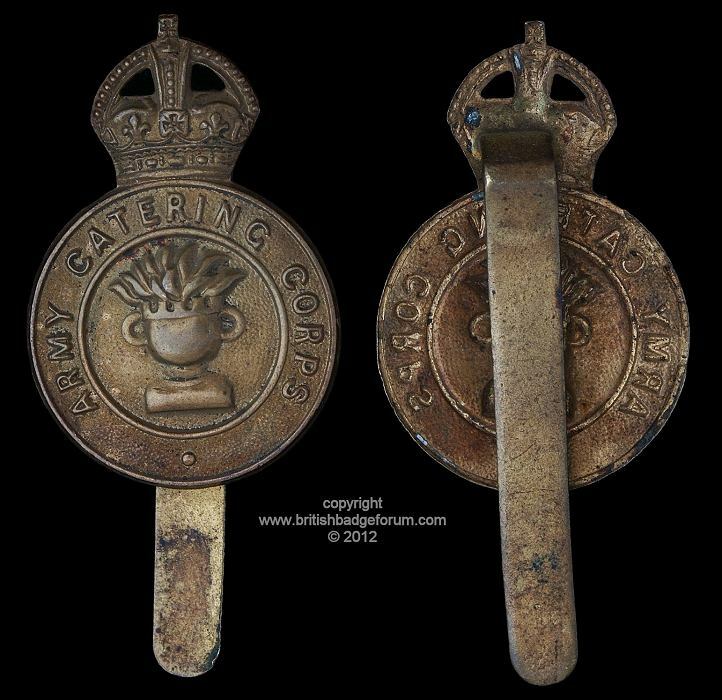 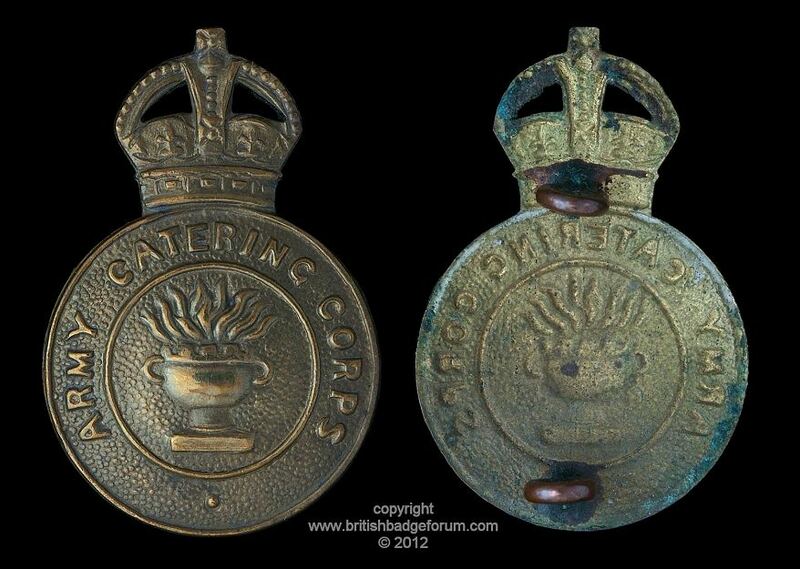 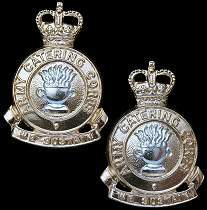 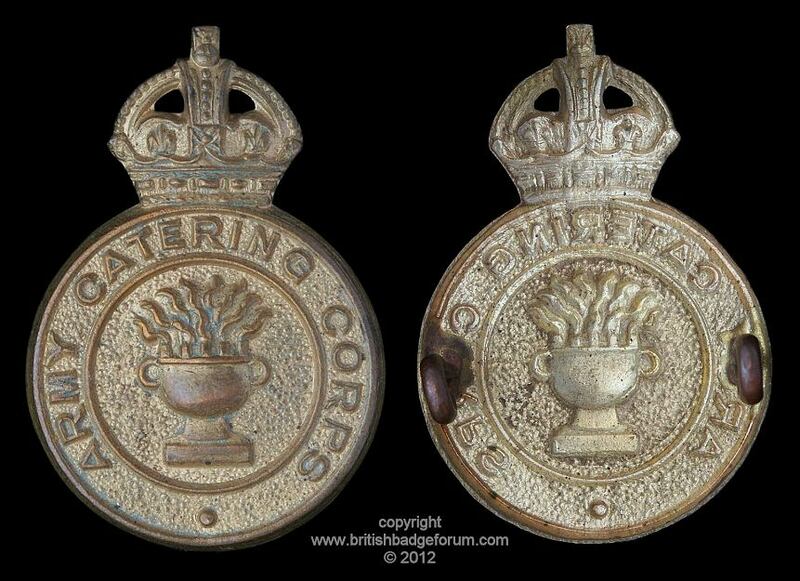 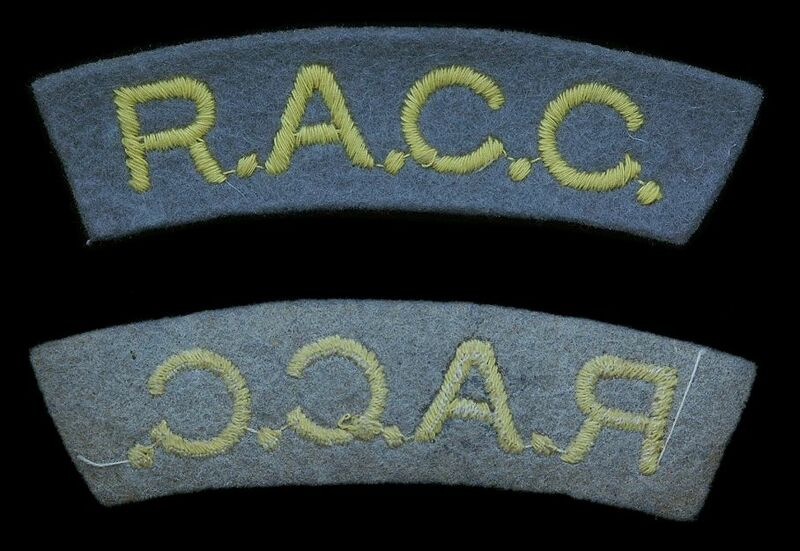 The badge design is a circlet inscribed Army Catering Corps; in the centre of which is a flaming Grecian brazier, and over this is the usual crown. 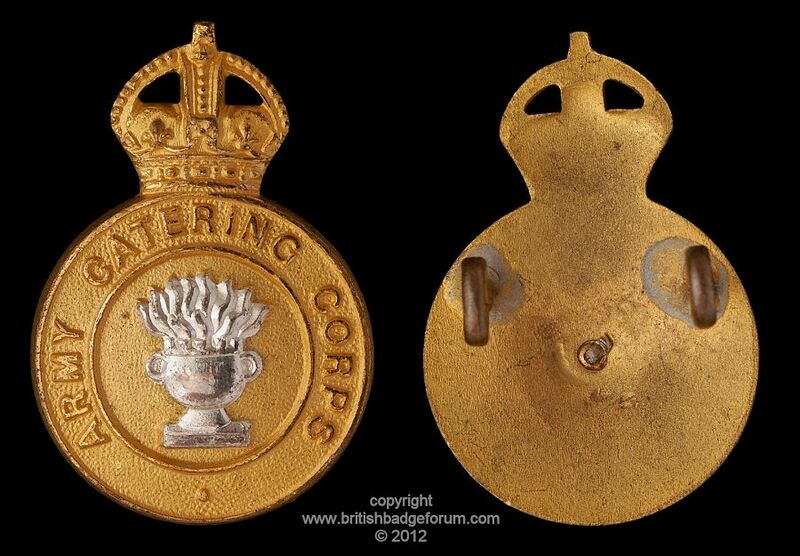 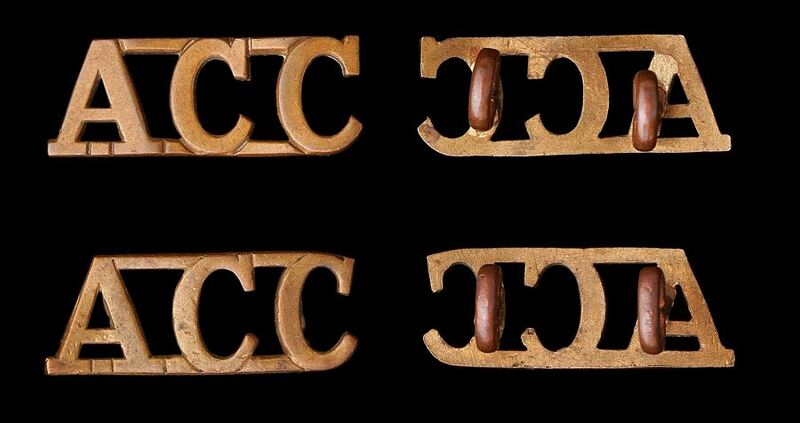 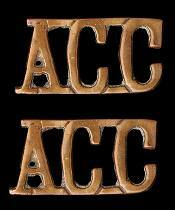 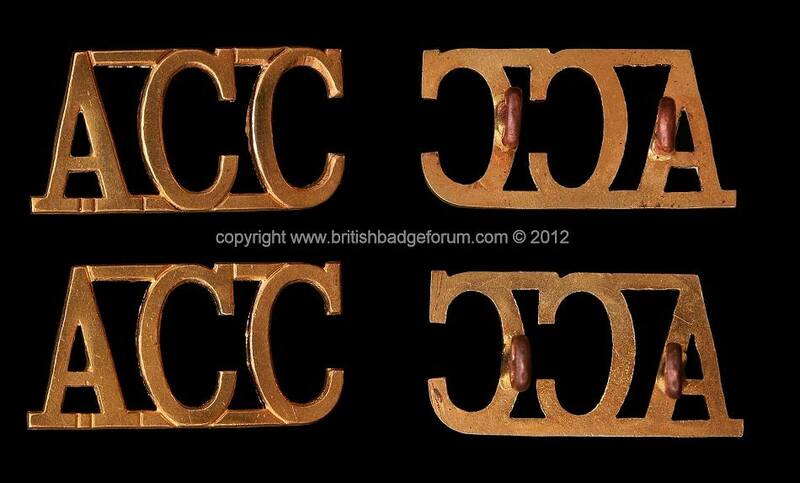 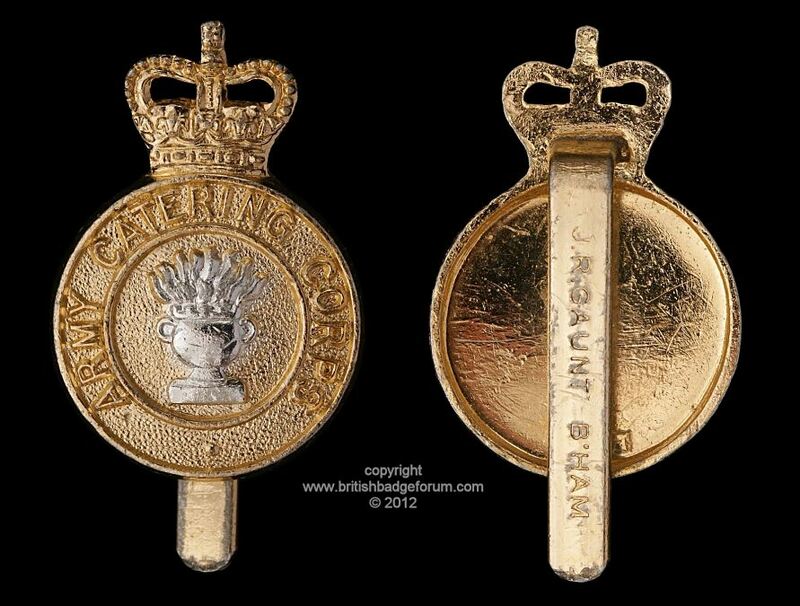 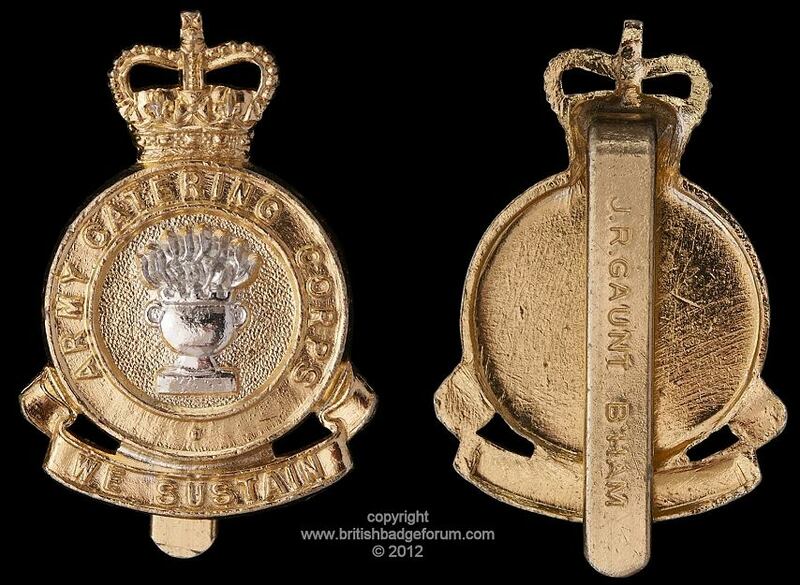 The first pattern for other ranks' badges were all gilding metal, with the Imperial or 'King's Crown'. 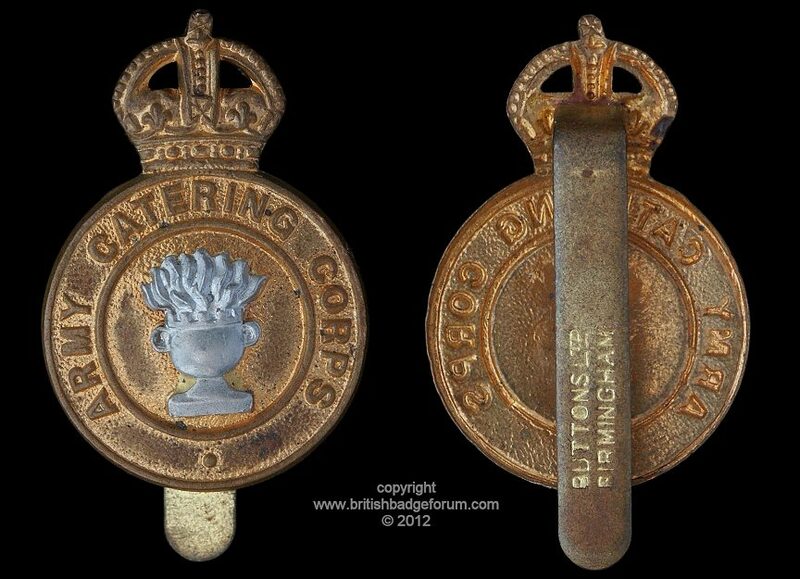 In March 1951 a new bi-metal pattern was sealed, with the brazier in white-metal. 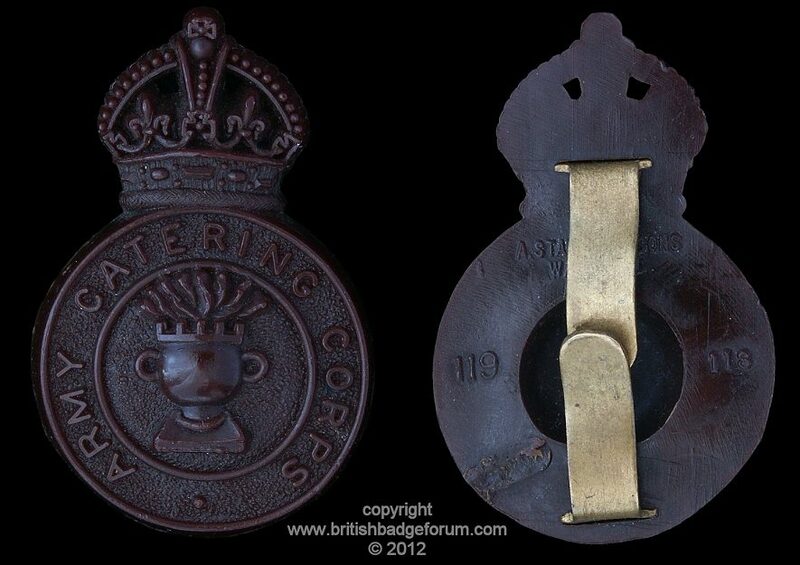 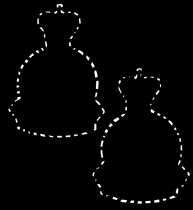 In 1953 with the succession of Queen Elizabeth II the crown was modified to the St Edward, or 'Queen's Crown' type. 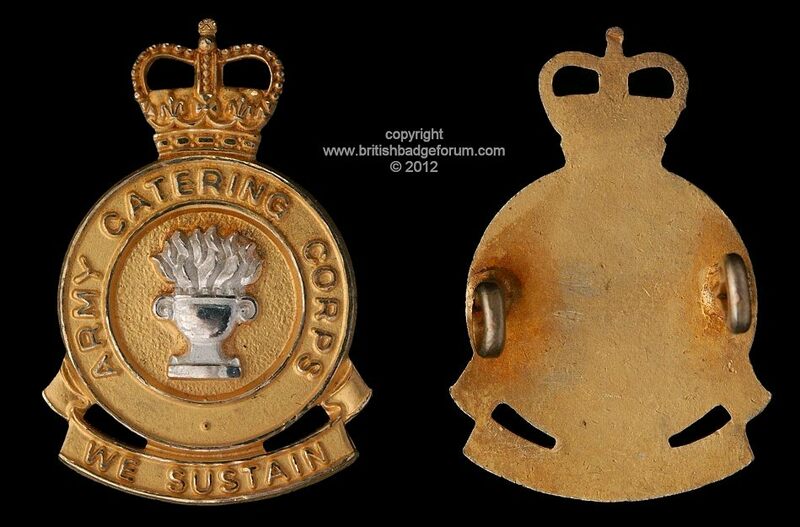 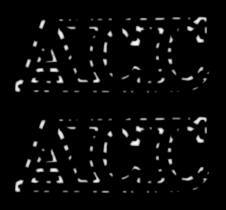 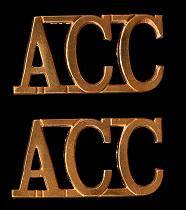 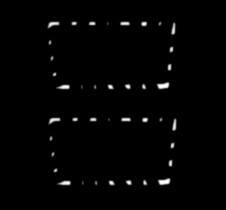 1973 saw the 4th and final design with the addition of a scroll below the circlet, inscribed We Sustain. 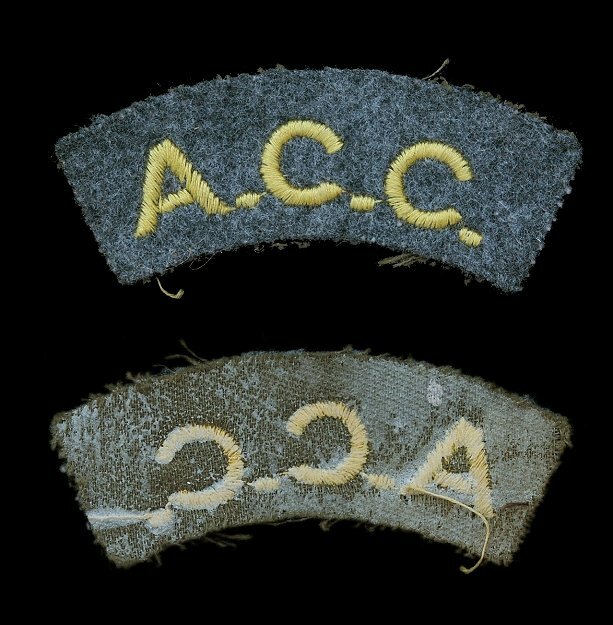 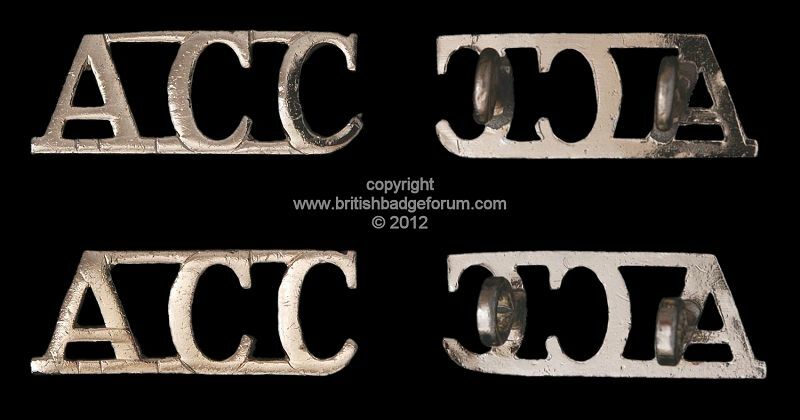 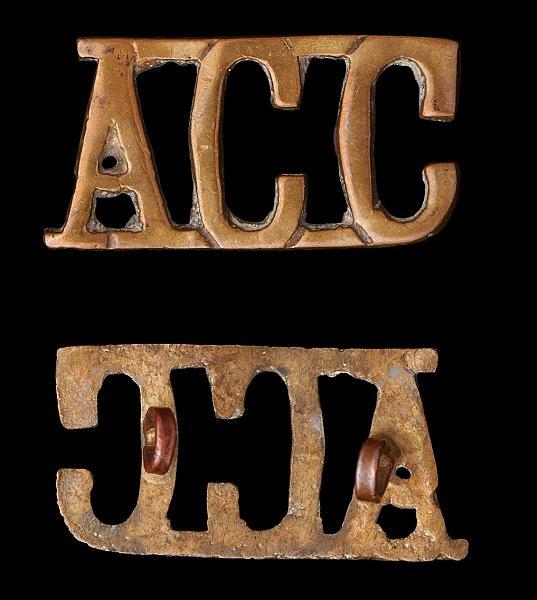 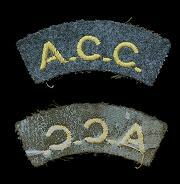 collar badges, 'We Sustain' scroll ,clutch and pin fixings, "LB&B Made in England"
Officers' Brass shoulder titles, Westlake 370 "Army Catering Corps"
Embroidered Melton wool titles with white cotton backing "A.C.C"
Embroidered Melton wool with cotton backing "A.C.C"
These titles apparently produced post war in anticipation of the bestowal of the "Royal" title, but it was never granted. 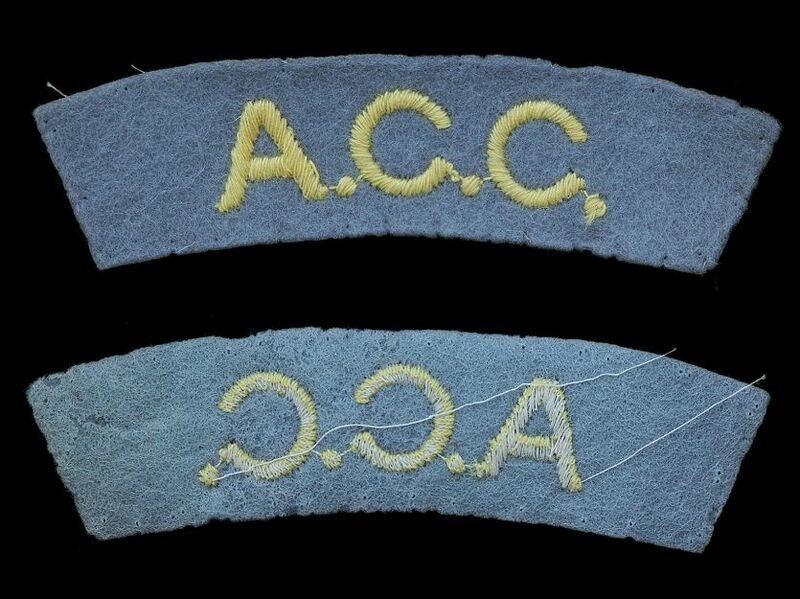 Slip-on cloth titles Arm of service strips.